Animation is a complete joy and wonder to watch. Since ages it has remained to be one of the hot favorites of the children. However making one is not an easy task. Animation is the art of suing sketches to bring life to a story and live characters. This is seriously an art. However certain techniques are also imperative so that a well formed story can be presented to the audience that will be having a good start, a proper flow, and a conclusive ending. The characters are to emerge in a prominent manner. 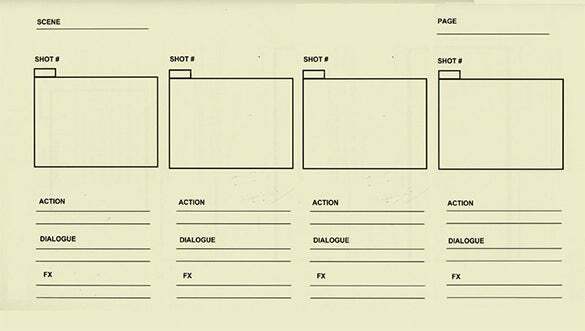 The Animation Storyboard template designs and layouts can be used for the purpose of telling a cohesive and well formatted story to the audience. You may also visit PowerPoint StoryBoard Template. This is a template format that has a rather clean and simple format. The template format has been professionally designed so that the animator can present the story narration course in structured manner. This template can also be used for giving a well determined shape to a character of the film. This template has responsive features so that the user can navigate throughout the template layout. The template is fully editable; changes can be made as per requirement. Generally, the purpose of this special template is to give your project an excellent flow. You can download this for free and make your animation work easy to manage to completion. Get this template today and make your animation project easy to manage. Even a smaller animation project will need an appropriate storyboarding and this tool definitely can help with the job. Instead of spending hours on your computer getting a template done, download this high quality storyboard template for animation project and make your work easier. The template is free to download. This is a template design that can be downloaded with ease from the internet. This is a template design that can be attained in the form of word doc or even PDF. Making changes and editing the format is easy and convenient. This template can reduce the work of the user considerably. The template has a great resolution range. This is a feature that can enable the user o get very good quality of printouts. This is a template layout that can be downloaded with ease over the internet. These are the formats that can come in the forms of word doc and also PDF. The changes can be made with ease and speed. The templates have a simple and tidy background theme. This theme can also be changed if so required. 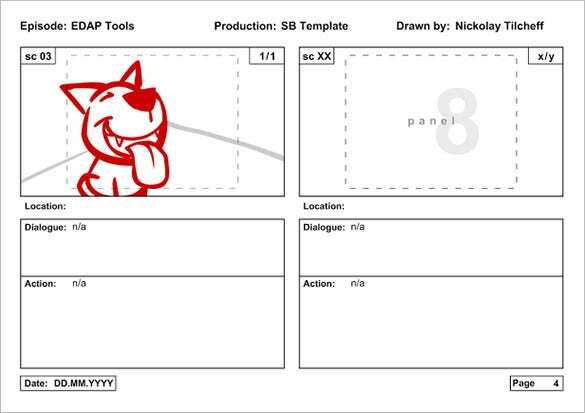 The animation storyboard template can support box patterns that will contain different scenes from the storyline and also gives a brief idea o the story concept. 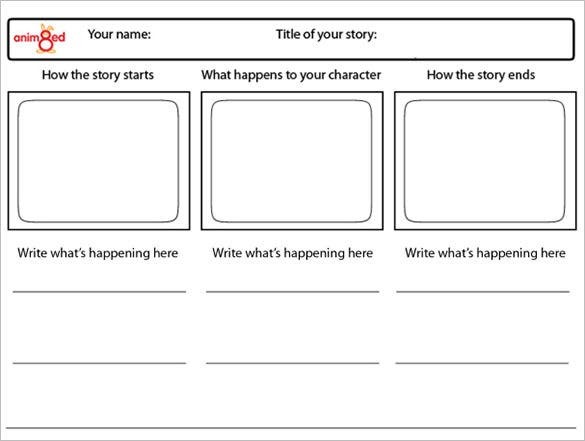 This is a great animation storyboard template that clearly defines what is being shown in the picture, right below it. It makes appropriate amount of distinction between the characters and the background. Every detail is displayed and neatly included here. 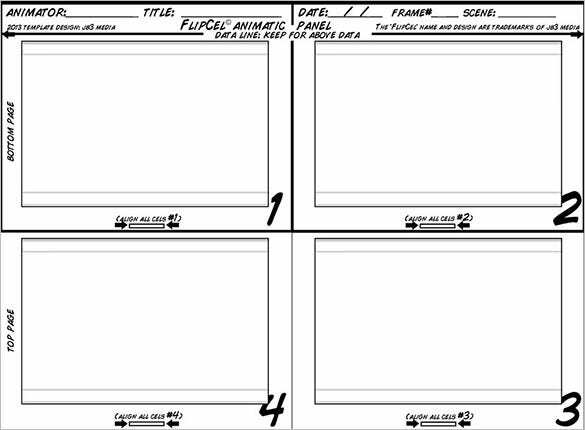 For effective conveyance of animated information; choosing to use captions under the animated drawings, using arrows to depict direction of camera movements, and also coloring of objects to make distinction of the background, will at all times be a worth to come up with a well animated storyboard template. 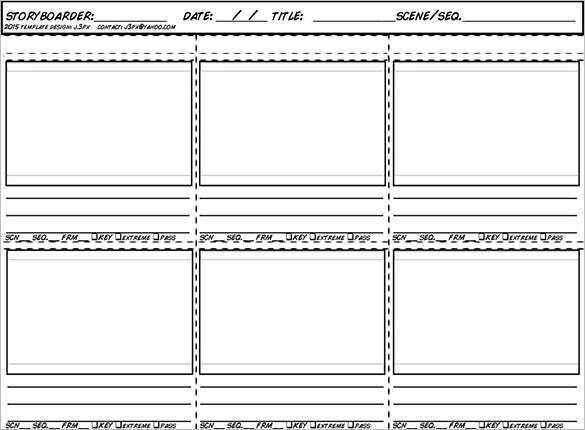 > What Is An Animation Storyboard Template? This is a sample that can be downloaded by the user so that effective formats can be designed for animated story telling. This is a template that has been professionally designed to reduce the work of the user. The main audience that is targeted by these templates will be the animators who are making movies or animation series for the global population. However the major people whom these animators happens to be targeting. The children are the major audience who are targeted. 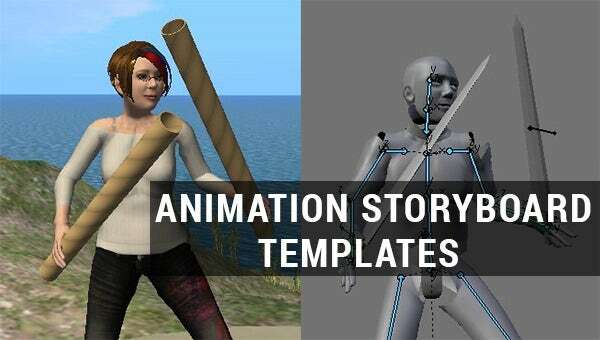 The animation storyboard templates require a host of responsive features. These templates must be completely editable. They should be in either the form of word doc and PDF. 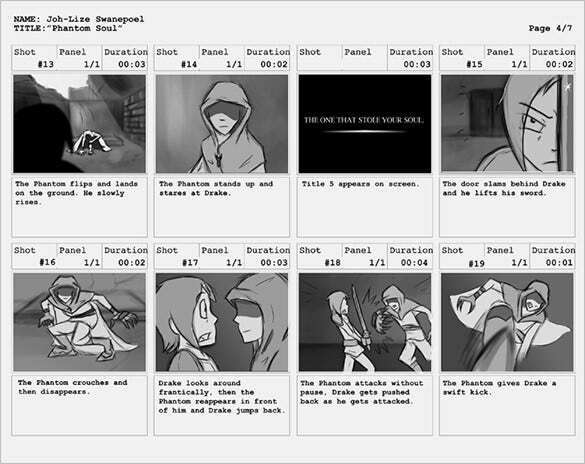 The animation storyboard template can be used to generate a great animation storyline. These formats can be used to plan the storytelling through an organized format. These templates can ease the work of the user and can save a lot of time of the person doing the animation creation. These templates can be used to create a great animation storyline. This is professionally designed format that can ease the work pressure of the animator and help him to get more planned in his storytelling.